The best known of all Indian Power groups is the American Indian Movement, commonly known by it’s initials. AIM was formed in 1968 by two Chippewas, Dennis Banks and George Mitchell, to combat poverty and unemployment and protest police brutality. AIM burst onto the international scene with its seizure of the Bureau of Indian Affairs headquarters in Washington, D.C., in 1972 and the 1973 standoff at Wounded Knee, South Dakota, on the Pine Ridge Indian Reservation. In the decades since AIM’s founding, the group has led protests advocating Indigenous American interests, inspired cultural renewal, monitored police activities and coordinated employment programs in cities and in rural reservation communities across the United States. AIM has often supported other indigenous interests outside the United States, as well. Here is a summary of their most publicized moments and some of the key members of this activist organization. 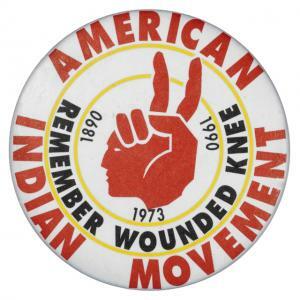 AIM was cofounded in 1968 by Dennis Banks, George Mitchell, Herb Powless, Clyde Bellecourt, Eddeh Benton Banai, and many others from other Native American communities, almost 200 total. Russell Means was another early leader. In 1993, AIM split into two factions, each claiming to be the authentic founders of the AIM tradition. The AIM-Grand Governing Council (GGC) is based in Minneapolis, Minnesota, and associated with leadership by Clyde Bellecourt and his brother Vernon Bellecourt (who died in 2007). The GGC tends toward a more centralized, controlled political philosophy. The AIM International Confederation of Autonomous Chapters, based in Denver, Colorado, was founded by thirteen AIM chapters in 1993 at a meeting in Denver, Colorado. The group issued its “Edgewood Declaration”, citing organizational grievances and complaining of authoritarian leadership by the Bellecourts. Ideological differences were growing, with the AIM-International Confederation of Autonomous Chapters taking a spiritual, perhaps more mainstream, approach to activism. The autonomous chapters group argues that AIM has always been organized as a series of decentralized, autonomous chapters, with local leadership accountable to local constituencies. The autonomous chapters reject the assertions of central control by the Minneapolis group as contrary both to indigenous political traditions and to the original philosophy of AIM. Russell Means said that part of the dissension within AIM in the early 1990s had related to actions to expel the Bellecourt brothers from AIM for their part in the Aquash execution. AIM’s leaders spoke out against injustices against their peoples, as had the African-American leaders of the Civil Rights Movement. AIM leaders talked about high unemployment, slum housing, and racist treatment, fought for treaty rights and the reclamation of tribal land, and advocated on behalf of urban Indians. With its provocative events and advocacy for Indian rights, AIM attracted scrutiny from the Department of Justice (DOJ). The Federal Bureau of Investigation (FBI) used paid informants to report on AIM’s activities and its members. During ceremonies on Thanksgiving Day 1970 to commemorate the 350th anniversary of the Pilgrims’ landing at Plymouth Rock, AIM seized the replica of the Mayflower in Boston. In 1971, members occupied Mount Rushmore for a few days, as the presidential carvings were created in the Black Hills of South Dakota, long sacred to the Lakota. Native American activists in Milwaukee staged a takeover of an abandoned Coast Guard station along Lake Michigan. The takeover was inspired by the 1969 Alcatraz occupation. Activists cited the Treaty of Fort Laramie and demanded the abandoned federal property revert to the control of the Native peoples of Milwaukee. AIM protestors retained possession of the land, and the land became the site of the first Indian Community School until 1980. Aso in 1971, AIM began to highlight and protest problems with the Bureau of Indian Affairs (BIA), which administered programs and land trusts for Native Americans. The group briefly occupied BIA headquarters in Washington, DC. A brief arrest, reversal of charges for “unlawful entry” and a meeting with Louis Bruce, the Mohawk/Lakota BIA Commissioner, ended AIM’s first event in the national capital. In the fall of 1972, AIM gained national visibility when it led urban Indians and traditionalists along the “Trail of Broken Treaties” to Washington, D.C., seized the offices of the Bureau of Indians Affairs, and occupied them for a week to dramatize Indian grievances, doing millions of dollars of damage during the occupation. AIM developed a 20-point list to summarize its issues with federal treaties and promises, which they publicized during their occupation in 1972. In the spring of 1973, 200 Indians occupied the town of Wounded Knee, South Dakota, site of an 1890 massacre of nearly 300 Sioux by the army cavalry, and occupied the town for seventy-one days to dramatize the injustices Indians suffered. They demanded the return of lands taken from Indians in violation of treaty agreements. The 1978 Longest Walk was an AIM-led spiritual walk across the country to support tribal sovereignty and bring attention to 11 pieces of anti-Indian legislation. AIM believed that the proposed legislation would have abrogated Indian Treaties, quantified and limited water rights, etc. The first walk began on February 11, 1978, with a ceremony on Alcatraz Island, where a Sacred Pipe was loaded with tobacco. The Pipe was carried the entire distance. This 3,200-mile (5,100 km) walk’s purpose was to educate people about the US government’s continuing threat to Tribal Sovereignty. It rallied thousands representing many Indian Nations throughout the United States and Canada. Traditional spiritual leaders from many tribes participated, leading traditional ceremonies. International spiritual leaders, such as Nichidatsu Fujii, also took part in the Walk. On July 15, 1978, The Longest Walk entered Washington, D.C., with several thousand Indians and many non-Indian supporters. The traditional elders led them to the Washington Monument, where the Pipe carried across the country was smoked. Over the following week, they held rallies at various sites to address issues: the 11 pieces of legislation, American Indian political prisoners, forced relocation at Big Mountain, the Navajo Nation, etc. Non-Indian supporters included the American boxer Muhammad Ali, US Senator Ted Kennedy and the actor Marlon Brando. The US Congress voted against a proposed bill to abrogate treaties with Indian Nations. During the week after the activists arrived, Congress passed the American Indian Religious Freedom Act, which allowed them the use of peyote in worship. President Jimmy Carter refused to meet with representatives of The Longest Walk. Thirty years later, AIM led the Longest Walk 2, which arrived in Washington in July 2008. This 8,200-mile (13,200 km) walk had started from the San Francisco Bay area. Representatives from more than 100 American Indian nations, and other indigenous participants, such as Maori participated. It also had non-indigenous supporters. This walk highlighted the need for protection of American Indian sacred sites, tribal sovereignty, environmental protection and action to stop global warming. Participants traveled on either the Northern Route (basically that of 1978) or the Southern Route. Participants crossed a total of 26 states on the two different routes. The Northern Route was led by veterans of that action. The walkers used Sacred staffs to represent their issues; the group supported the protection of sacred sites of indigenous peoples, traditional tribal sovereignty, issues related to native prisoners, and the protection of children. They also commemorated the 30th anniversary of the original Longest Walk. Walkers along the Southern Route picked up more than 8,000 bags of garbage on their way to Washington. In Washington, the Southern Route delivered a 30-page manifesto, “The Manifesto of Change,” and a list of demands, including mitigation for climate change, a call for environmental sustainability plans, protection of sacred sites, and renewal of improvement to Native American sovereignty and health. In 1989, AIM was requested to provide expertise in dealing with protesters at boat landings during a conflict over Chippewa spear fishing rights in Wisconsin. This came to be known as the Wisconsin Walleye War. American Indian spearfishing continued despite violence, arrests, and threats from whites. Senator Daniel Inouye (1924-2012) called for a study on the effects of Indian spearfishing. The study showed only 6% of fish taken are by Indians. Sports fishing accounts for the rest. In 1998 AIM provides Security at the Ward Valley Occupation in Southern California. The occupation lasts for 113 days and resulted in a victory for the Colorado River Indian Tribes (CRIT) against the plan to use the area for the disposal of nuclear wastes. Charlie Abourzek is is an attorney, newspaper columnist and contributing editor for Native Nations Magazine. He represented the International Indian Treaty Council at the United Nations Commission on Human Rights for five years. He is a founder of KILl Radio on the Pine Ridge Indian Reservation – a station that provides critical communication for various remote communities. Abourzek is an expert on treaties, federal Indian law and tribal law and is currently an adjunct professor for Oglala Lakota College. Larry Anderson (Dine Navajo) was on AIM’s founding Board of Directors and a member of Denver AIM chapter. He led the takeover of the Fairchild Plant on the Navajo Reservation in Febrtuary 1975. AIM came to the aid of the Big Mountain people at the request of Larry Anderson, when the people were facing the crisis of relocation. Edward Benton Banai (Bawdwaywidu or Eddeh) was one of the original members of AIM. He was present during the occupation of Wounded Knee village in 1973. He also has a degree in education and a master’s degree in business. Eddie is both an educated, modern man and a traditional Ojibwe man. Besides his many activities, he also writes prose and poetry. Dennis Banks , Ojibwe (April 12, 1937 – October 29, 2017) was a Native American activist, teacher, and author. He was a longtime leader of the American Indian Movement, which he co-founded in Minneapolis, Minnesota in 1968 to represent urban Indians. Edgar Bear Runner is best known for attempting to negotiate a peaceful resolution to the standoff which occurred during the Wounded Knee incident in the 1970s. Pat Bellanger or Awanakwe, meaning Water Woman (February 13, 1943 – April 2, 2015) was one of the founders of the American Indian Movement (AIM) in 1968. She was known as “Grandmother AIM.” She participated in the takeover of the Bureau of Indian Affairs building in Washington, D.C., in 1972, the occupation of Wounded Knee, in 1973, and 2014’s mass march in Minneapolis to protest the Washington Redskins’ nickname. She was involved in all the protests. Clyde Bellecourt or Nee-gon-we-way-we-dun which means “Thunder Before the Storm.” White Earth Ojibwe (born May 8, 1936) was a cofounder of AIM in 1968. He was the group’s first chairman. He continues to direct national and international AIM activities, is a coordinator of the National Coalition on Racism in Sports and the Media, and leads Heart of the Earth, Inc., an Interpretive Center in Minneapolis. Vernon Bellecourt or WaBun-Inini meaning”Man of Dawn.” White Earth Ojibwe (October 17, 1931–October 13, 2007) was a long-time leader in the American Indian Movement. He co-founded the AIM chapter in Denver, and was its first Executive Director. He took part in the 1972 Trail of Broken Treaties caravan to Washington, DC. He served as a negotiator during AIM’s occupation of the Bureau of Indian Affairs headquarters building at the Department of Interior. Bellecourt was present briefly during the 1973 Wounded Knee, then left to raise funds for the others still there. Vernon became a leader of AIM’s work abroad and was active for many years in the campaign to free AIM activist Leonard Peltier. He was a president of the National Coalition on Racism in Sports and Media, and met with President Hugo Chavez in Venezuela shortly before his death to discuss indigenous rights. Gladys Bissonette (deceased) was an Oglala Lakota elder who was one of the leaders of the traditional faction during the violent turmoil on the Pine Ridge Indian Reservation during the 1970s. She spoke eloquently for 20 minutes at the meeting at Calico Hall to discuss what to do about their situation. After Gladys and Ellen Moves Camp spoke, Chief Frank Fools Crow declared that the group at Calico Hall should go to Wounded Knee to protest. During the occupation, Gladys Bissonette worked at the health clinic established there and was one of the negotiators with Kent Frizzell, the Assistant Attorney General selected to negotiate with the occupiers. Frank Blackhorse was involved in Wounded Knee and is alleged to have been involved in the shootout at the Jumping Bull Compound. He is currently a fugitive. Carter Camp (August 18, 1941 – December 27, 2013) joined the American Indian Movement when it was founded in 1968. He organized the first AIM chapters in Kansas and Oklahoma. He helped organize the 1972 Trail of Broken Treaties protest, which led a caravan across the country to Washington D.C. During the caravan, Carter Camp and Hank Adams wrote the Twenty Points document. He led the first group of AIM members as they seized the trading post at Wounded Knee. Theda Nelson Clarke (1924-2011) was at the 1973 Wounded Knee standoff, but she is best known as the third accomplice in the kidnapping and murder of Annie Mae Pictou. Theda was held as a key material witness in the murder trials of Arlo Looking Cloud and John Graham for their roles in the murder. Theda Clark, in her 80s, feeble and living in a nursing home, took the fifth at John Graham’s first trial in 2010. Looking Cloud later testified that Nelson-Clarke was given orders to have Anna Mae eliminated. Looking Cloud, along with Theda Nelson Clarke and John Graham, forced Aquash into the back of a car and drove her to a remote part of the Pine Ridge Indian Reservation. Clarke drove from Denver, Colorado to the scene of the shooting on the Pine Ridge Indian Reservation in her red Pinto. She was never charged for her role and died in the nursing home in 2011. Leonard Crow Dog is a medicine man and spiritual leader who became well known during the Lakota takeover of the town of Wounded Knee on the Pine Ridge Indian Reservation. The name Crow Dog is a poor translation of Kangi Shunka Manitou (Crow Coyote). In 1970 Native American activist Dennis Banks met with Crow Dog, seeking a spiritual leader for the American Indian Movement. Crow Dog had already been trying to unite people on the Rosebud Indian Reservation to organize and work together on issues affecting Indians. Crow Dog marched on the 1972 Trail of Broken Treaties to Washington, D.C., and also led protests in Rapid City and the town of Custer, South Dakota to demand justice for hate crimes against the Lakota. Mary Crow Dog a.k.a. Mary Brave Bird or Mary Ellen Moore-Richard (September 26, 1954 – February 14, 2013) was the wife of medicine man and civil rights activist Leonard Crow Dog, and was also present during Wounded Knee in 1973. She gave birth to their first child during the siege. Her 1990 memoir Lakota Woman won an American Book Award in 1991 and was adapted as a made-for-TV-movie in 1994. Vine Deloria, Jr. Standing Rock Sioux(March 26, 1933 – November 13, 2005) was an American Indian author, theologian, historian, and activist. He was also involved with many Native American organizations and advocated for native american activism and issues. In 1969, Vine Deloria, Jr. published the first of more than twenty books, entitled Custer Died for Your Sins: An Indian Manifesto . In it, Deloria addressed Indian stereotypes and challenged white audiences to take a new look at the history of American western expansionism. Deloria wrote and edited many subsequent books, focusing on many issues as they relate to Native Americans, such as education and religion. In 1999, Deloria argued in his book Red Earth, White Lies: Native Americans and the Myth of Scientific Fact , that rather than entering the Americas via the Bering Strait, Native Americans, as some of their creation stories suggest, originated in the Americas. He also took a Young Earth stance on the time span of human origins. Douglas Durham was a prominent member of AIM, who was by then head of security, was an FBI informant. Aim members confronted him and expelled him from AIM at a press conference in March 1975. Harold Goodsky was one of the original AIM founders in 1968. John Graham a.k.a. John Boy Patton is a Canadian native american activist who has spent many years in the capacity of an activist both in the United States and Canada. He was known to participate in Lakota resistance for traditional territories, and protesting uranium mining in Northern Saskatchewan. But he is best known for the murder of fellow AIM member Anna Mae Pictou-Aquash in 1975, which he was convicted for in 2014, 39 years after the murder occurred. He was sentenced to serve a life sentence in the United States. He still proclaims his innocence. Angie Begay Janis (Navajo)- A member of the Pie Patrol, a group of urban native american women who supported the AIM members. She was married to Pat Janis, Dennis Banks, and to John Graham back in the 70s. Arlo Looking Cloud is an AIM member best known for his involvement with the murder of fellow American Indian Movement activist Anna Mae Aquash. For his involvement in the murder of Aquash, Looking Cloud confessed that he drove Aquash from Denver to Rapid City and then to the location where Aquash was murdered; however, he alleged that he knew nothing of the plan to execute Aquash. He originally was convicted of the murder and received a life sentence, but it was later commuted to 20 years imprisonment after testifying against John Graham as the shooter. Bill Means was the older brother of Russel Means, is the founder of the International Indian Treaty Council and currently President of the Board. He has been on the Grand Governing Council of the American Indian Movement since 1972. He is a veteran of Wounded Knee 1973 and helped coordinate legal defense work on over 500 Wounded Knee federal indictments. Russell Means Oglala Sioux( (November 10, 1939 – October 22, 2012) is one of contemporary America’s best-known and prolific activists for the rights of American Indians. Means also pursued careers in politics, acting, and music. In 1968, Means joined the American Indian Movement and quickly became one of its most prominent leaders. In 1969, Means was part of a group of Native Americans that occupied Alcatraz Island for a period of 19 months. He was appointed AIM’s first national director in 1970. Later that year, Russell Means was one of the leaders of AIM’s takeover of Mount Rushmore. In 1972, he participated in AIM’s takeover of the Bureau of Indian Affairs office in Washington, D.C., and in 1973 he led AIM’s occupation of Wounded Knee, which became the group’s most well-known action. Russell Means latest acts of activism included a leadership role in the Republic of Lakota. On December 20, 2007, Means announced the withdrawal of a small group of Lakota Sioux from all treaties with the United States government. Means and a delegation of activists declared the Lakota a sovereign nation with property rights over thousands of square miles in South Dakota, North Dakota, Nebraska, Wyoming and Montana. This group has been denounced by two elected Lakota tribal leaders who released a written statement on January 8, 2008 against any plan to renounce treaties with the United States, saying the issue was enforcement of existing treaties. Theodore “Ted” Lyle Means (1946 – November 23, 2011, Lakota) was very active in the American Indian Movement’s 71 day occupation of Wounded Knee in 1973. During the siege, he coordinated mail in and out of the occupied hamlet with the assistant of someone at Wounded Knee. Means, who lived in nearby Porcupine would take it there to ensure it would be sent out. In turn, he would pick the mail up in Porcupine to make sure it got delivered on the inside. Ellen Moves Camp, Oglala Sioux (September 25, 1930 – April 5, 2008) was known, along with Gladys Bissonnette, as the “Grandmas of the American Indian Movement.” She challenged AIM members at the meeting at Calico Hall to “do something” about their situation on the Pine Ridge Reservation and helped convince elder Frank Fools Crow to give his blessing for the Wounded Knee standoff. She helped deliver Mary Crow Dog’s baby at Wounded Knee. Leonard Peltier, (Chippewa/Lakota), is a Native American activist and member of the American Indian Movement. He spent his early years living with his grandparents on the Turtle Mountain Indian Reservation. In 1977 he was convicted and sentenced to two consecutive terms of life imprisonment for the murder of two FBI Agents who died during a 1975 shoot-out on the Pine Ridge Indian Reservation known to the public as the Jumping Bull Compound Shootout. The FBI officially called it the RESMURS incident. He is serving a life sentence. Bids for Presidential Clemency and Parole have been unsuccessful so far. There has been considerable debate over Peltier’s guilt and the fairness of his trial. Some supporters and organizations, including Amnesty International, consider him to be a political prisoner. Darlene Ka-Mook Ecoffey Nichols, is a former AIM member and Native American protester, former common law wife of Dennis Banks. She is best known for her role in the American Indian Movement for organizing (and participating in) The Longest Walk, and for serving as a key material witness in United States v. Peltier and United States v. Looking Cloud that ultimately led to the conviction of several AIM members in the murders of Anna Mae Aquash and two FBI special agents. Anna Mae Pictou (Aquash) was among the Indian militants who occupied the village of Wounded Knee in the 71-day standoff with federal authorities in 1973. She was the highest ranking woman in AIM at the time she was murdered in 1975. She was instrumental in gaining support for AIM from various Hollywood celebrities, such as Marlon Brando. She also spoke out endlessly about on-going injustices towards Native peoples everywhere at various public and private meetings, even after she became very aware of the threats to her life. Two months after her murder, she was found dead in a snowbank with a bullet wound to the head on the Pine Ridge Indian Reservation, yet her death was originally ruled an accident by the F.B.I. The F.B.I. then cut off her hands, purportedly for further identification of the corpse, so for a time her body was reported as a Jane Doe, although she was well known on the Pine Ridge Reservation. For years it was rumored that she was murdered because AIM members suspected her of being an F.B.I. informant. It was nearly 30 years before the murder was solved. Several grand juries had investigated the case over the years. 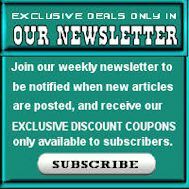 In February 2004, a federal jury in Rapid City, S.D., convicted Arlo Looking Cloud of the murder. His life sentence was reduced to 20 years when he agreed to testify against co-conspirator John Graham (also known by the alias John Boy Patton). In Graham’s trial, Looking Cloud testified that he stood nearby as Graham shot Aquash on the reservation and left her to die. Graham was sentenced in 2014 to a life sentence without parole for the execution style slaying. At a press conference in Denver, Colorado in 1999, Russell Means accused Vernon Bellecourt, and other AIM activists, including Theresa Rios of having ordered the execution of Anna Mae Aquash. In a follow-up show on Native American Calling the next day, Vernon Bellecourt denied any involvement by him or his brother in the death of Aquash. There were also rumors that Leonard Peltier gave the order for her execution. Herbert “Herb” Powless Oneida (February 22, 1937-January 30, 2018, Oneida) was a founding member of AIM in 1968. Herbert was involved in the planning and eventual take over of the coast guard station in Milwaukee Wisconsin. In 1970, Herb started the first ever American Indian Council on Alcoholism and was one of the founders of the National Indian Board on Alcohol and Alcohol Abuse. Herb was part of the Wounded Knee take over in 1973, as well as the Novitiate take over in Gresham, Wisconsin. Under his leadership in AIM, Herb went to Oklahoma to support the issue of our freedom of religion which resulted in Oklahoma passing a law allowing Native students to wear long hair which was previously disallowed by the Oklahoma Public school system. Robert Eugene Robideau, White Earth Ojibwe(November 11, 1946 – February 17, 2009) was acquitted in the 1975 shooting deaths of the two FBI agents in South Dakota for which his cousin, Leonard Peltier, was convicted. Perry “Ray” Robinson (born September 12,1937 – approx. April 25,1973), was an American civil rights activist from Alabama during the Civil Rights Movement. He disappeared while participating in the 1973 American Indian Movement resistance at Wounded Knee on the Pine Ridge Indian Reservation in South Dakota. His family never saw him again, and his wife believes he was killed there. JoAnn Tall is a member of the Oglala Lakota tribe and lives on Pine Ridge Reservation in South Dakota. She was awarded the Goldman Environmental Prize in 1993 for her protests against uranium mining and plans for testing nuclear weapons in the Black Hills area. Madonna Gilbert Thunder Hawk, Yankton Sioux, is a Native American civil rights activist best known as a leader in the American Indian Movement (AIM) and as an organizer against the Dakota Access pipeline. She co-founded the American Indian organization Women of All Red Nations and serves as an organizer and tribal liaison for the Lakota People’s Law Project. John Trudell Santee Dakota(February 15, 1946 – December 8, 2015) became the spokesperson for the Indians of All Tribes occupation of Alcatraz Island beginning in 1969, broadcasting as Radio Free Alcatraz. From 1972 until 1979, although not officially voted in,he served as the chairman of the American Indian Movement, based in Minneapolis, Minnesota. He was an author, poet, recording artist, actor and public speaker. He acted in films in the 1990s. The documentary Trudell (2005) was made about him and his life as an activist and artist. John Trudell has a 17,000 page FBI dossier. His entire family — his heroic activist-in-her-own-right wife Tina, their four children and Tina’s mother died in a suspicious fire on their reservation in Nevada just twelve hours after John burned a US flag at FBI headquarters in DC. Minnie Two Shoes, Assiniboine Sioux (March 24, 1950 – April 9, 2010) was a publicist for the American Indian Movement from 1970–76 and worked most of her life in journalism and advancing Native American people and causes. Floyd “Red Crow” Westerman also known as Kanghi Duta, Dakota, Sisseton-Wahpeton Oyate(August 17, 1936 – December 13, 2007) was a Dakota musician, activist and actor.After establishing a career as a country music singer, late in life he became a leading actor depicting Native Americans in American films and television. He worked as a political activist for Native American causes. As a youth, he attended an off-reservation elementary school where he was forced to cut his hair and forbidden to speak his native language. This would profoundly impact his later life and his restless pursuit of championing his own heritage. At the age of 10, Westerman was sent to the Wahpeton Boarding School, where he first met Dennis Banks of the American Indian Movement, which he also supported in later years. Charmaine White Face, Zumila Wobaga, is an Oglala Tetuwan (Lakota language speaker) from the Oceti Sakowin (Great Sioux Nation) in North America. She is known for her work in support of Native American rights, in particular as coordinator of the Defenders of the Black Hills volunteer organization centered around efforts to encourage the United States government to honor the Fort Laramie Treaties of 1851 and 1868. Richard Ray Whitman, Yuchi-Muscogee Creek (born 1949) is a multidisciplinary visual artist, poet, and actor, who participated at Wounded Knee. Raymond Yellow Thunder, Oglala Sioux (January 1, 1921 – February 13, 1972) became notable as an example of a racial assault, as he was killed by four white men who had bragged earlier that evening about beating an Indian. The case provoked incorrect rumors that he was tortured and mutilated prior to his death, and members of the American Indian Movement went to Gordon in search of justice in the case. The prosecution of his killers aroused much controversy, as the two brothers convicted of manslaughter were given light sentences. Philip Yenyo is a Native American civil rights activist. He is perhaps best known for being one of several prominent American Indians to spearhead the movement against the use of Native American imagery as sports mascots. Some of these militant protests by AIM have paid off. The 1972 Indian Education Act gave Indian parents greater control over their children’s schools. To address deficiencies in Indian health care, Congress passed the Indian Health Care Improvement Act in 1976, while the 1978 Indian Child Welfare Act gave tribes control over custody decisions involving Indian children. A 1978 congressional resolution on American Indian Religious Freedom directed federal agencies to respect traditional Indian religions. The Indian Arts and Crafts Act of 1990 protects Native American craftsmen and women from the flood of counterfeit Native American arts & crafts passed off as authentic Indian arts.